I design tracks as a hobby and this was my very first track, and the first one I've done on BTB. I've got it this point, which I think is the most I can do in BTB, its got the layout, grass runoffs, rumble strips, some walls and a crude pit straight and pit lane. I've kinda put it to one side, because I don't there is much more I can do in BTB and I don't know 3DSmax or whatever to get it to a decent looking track. I'm now working on a new track, similar to this, hopefully I can utilise BTB better. So I'm releasing by W.I.P, it is very raw, so don't expect anything fancy, it is just to see if you like the track concept and layout. The entire track is crudly made, the elevation changes are a bit severe, curbs arn't perfect and a lot off things are missing. As I am not working on this at the moment (although i might return to it in the future) i'm offering the track at this stage to anyone who wants to take over from me, someone who can get it to V1.0. So if anyone thinks they can make it work, and if the track is well recieved then, let me know. 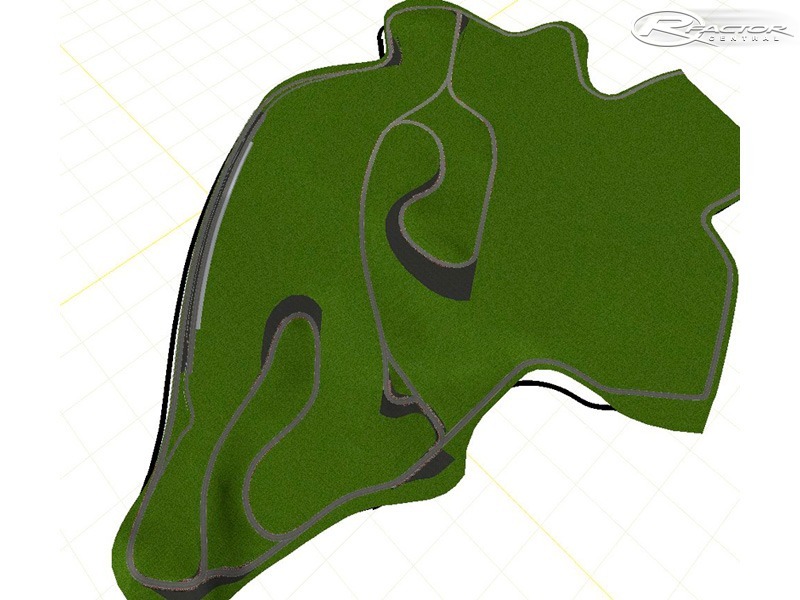 Temporary road course with banked, fast flowing, opening and tightening as well as tight corners. it is a real challenge and some of the people who have tested it for me really like it. It is about a 2.5 minute lap in a Megane, there is also alternate layouts (open, but not official), one small and one huge (but it doesn't link up). just as a note, it might be quite hard to work out which way to go to start with. Hope you enjoy it and let me know what you think.